The Fund for Johns Hopkins Medicine (FJHM) is the philanthropic arm of Johns Hopkins Medicine. Through 15 development offices, each aligned with a clinical area, FJHM raises money to support treatment, research and educational programs. FJHM decided to decentralize its operations and collocate development offices within the programmatic entity supported. Maxine A. Given, FJHM’s Senior Director of Finance and Development Operations, didn’t want physical distance to affect communication and cohesion among the 120-member staff. She also wanted to assure that FJHM files didn’t reside on various drives and personal computers. 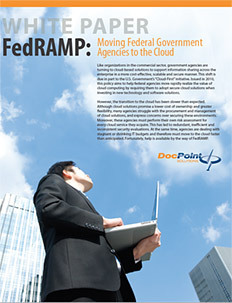 Given wanted documentation to be securely located in one place and only accessible to authorized individuals. 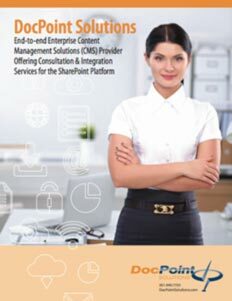 FJHM had an existing SharePoint site that was underutilized. Given characterized its design as geared toward file sharing and something “developed and maintained by accountants.” She sought to transform it into a true communications vehicle for the organization. She contacted DocPoint Solutions to translate her vision into reality and briefed Michael Ratigan, DocPoint Solutions’ Vice President of Sales, on the design she sought. Ratigan, consistent with DocPoint’s philosophy of aligning technology to an organization’s business needs, requested permission to perform a business analysis. While initially reluctant, Given acquiesced to the idea of DocPoint interviewing some 30 staff members to obtain perspectives on site features and functionality from users and non-users alike. DocPoint Solutions faced an additional design challenge: Johns Hopkins has its own SharePoint server on which it hosts approximately 1,000 separate sites, including FJHM’s. DocPoint needed to coordinate site design with the IT Group, and do all coding exclusively at the site level. 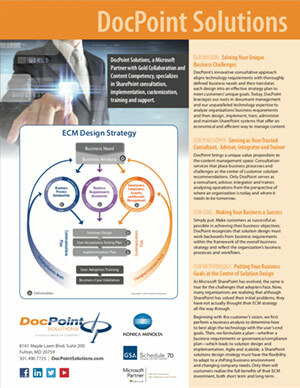 DocPoint Solutions included a series of landing page mockups in the requirements document. The various design options sparked discussion and allowed consensus to be achieved on the site’s final form. 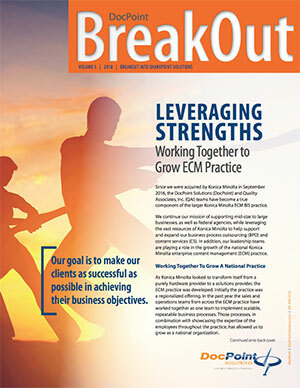 DocPoint then implemented a site fully responsive to FJHM’s needs and the host organization’s requirements. DocPoint incorporated Microsoft best practices to the maximum extent possible to assure site viability when the host updates to the next SharePoint version. After rollout, FJHM users quickly adopted the site. In fact, metrics reflect site usage is up by 25%, a level that spikes even higher whenever the Executive Director publishes a blog. This data speaks to the importance of incorporating user input as a means of gaining acceptance. Employees use informal posting rather than emails to communicate internally. They find this approach more effective, much like the informal dialogue that existed when everyone shared an office. Group cohesion remains strong, aided by the Executive Director’s blog wherein he mentors and motivates, much like he did previously via informal office visits. The site captures financial data in real time. Employees can access the site and instantaneously see where FJHM as a whole stands – at any point in time – relative to its fundraising goals by means of a thermometer feature. Clicking on the thermometer graphic allows users to drill down to results by program office or by individual. Beyond keeping everyone apprised of progress against objectives, the thermometer serves as an important motivational tool, prompting offices and staff to achieve even greater results. Once a thick binder chronicled all the events in which the FJHM staff participated. Access was inconvenient and confined to one person at a time. Now, the comprehensive listing of events is accessible instantaneously as well as key announcements.